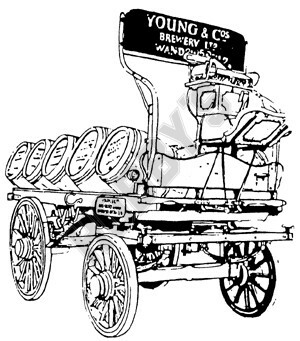 Built around 1910, this dray was used for many years in delivering barrels of beer from the Wandsworth brewery of Young & Co. to public houses in London. 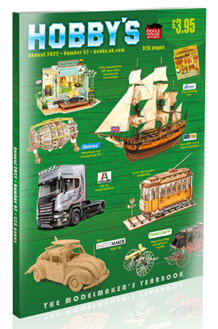 It can carry 14 barrels of the "Real Ale" for which Young & Co are renowned. On the round two Shire horses would be used,but the dray is now used for show work with a team of up to eight. The plan gives comprehensive details for the construction of the model with cutting lists.